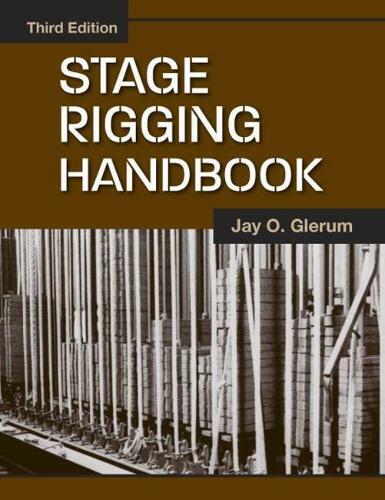 Succinct and jargon free, ""Stage Rigging Handbook"" remains the only book in any language that covers the design, operation, and maintenance of stage-rigging equipment. It is written in an at-a-glance out-line form, yet contains in-depth information available nowhere else. This fully indexed third edition includes three new parts: the first, an explanation of inspection procedures for rigging systems; the second, a discussion of training in the operation of rigging systems; and the third, essential information about the operation of fire curtains. The remaining six parts, as well as the glossary and bibliography, have been updated. This edition also contains a new preface, many new illustrations, and expanded information on Nicopress terminations. Glerum explains that four main principles make up the core of this book: know the rigging system; keep it in safe working order; know how to use it; and keep your concentration. Glerum applies these principles to all of the major types of stage rigging systems, including block and tackle, hemp, counterweight, and motorized. He describes each type of rigging, then thoroughly reviews the operating procedures and methods of inspecting existing systems.